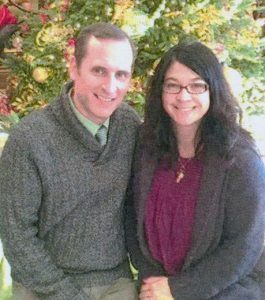 Zach Doppelt has been named pastor at the Basore Road Grace Brethren Church, Dayton, Ohio. He and his wife, Shannon, have been ministering in Roanoke, Va., for the last ten years. They have four children: Hannah, 20, Reaghan, 16, Jude, 10, and Noah, 8. She is a preschool teacher by trade and is homeschooling Jude and Noah. Zach has a B.A. in Journalism from The Ohio State University with additional graduate work at Grace Theological Seminary. He has a Bachelor of Theology with honours from The Universtiy of Chester-King’s Evangelical Divinity School, Chester, United Kingdom.